First food post for the month and I chose this dish that you will either like, or won't like. Some may find the sauce stinky, while others will savor the unique exotic flavor. Let me get to main ingredient for today's Mom-Cook post -- bagoong! 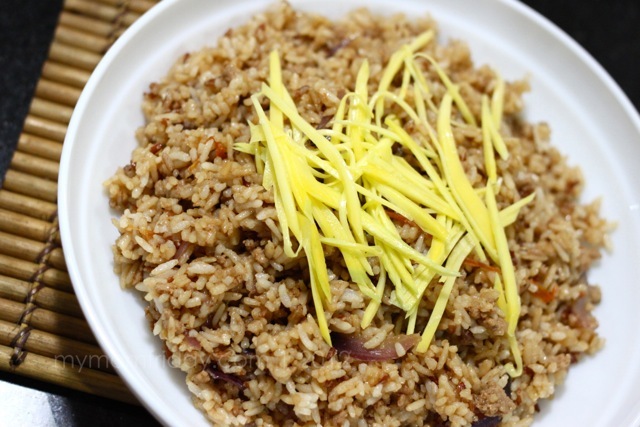 Bagoong is a well-loved local condiment of sauteed fermented shrimp paste. 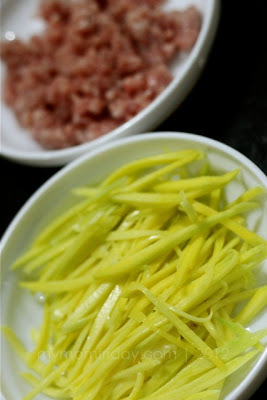 It's strong salty flavor and funky smell makes is very distinct among all the sauces and condiments you can find here. Green mango is it's most popular partner, enjoyed by many, and notoriously craved for by pregnant women. Go figure! 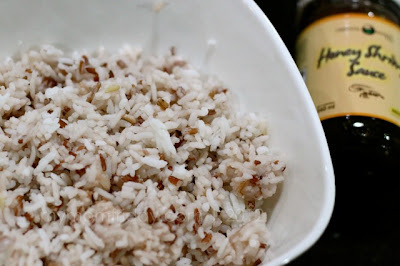 Anyway, this dish is not unique to my blog simply because bagoong rice has been cooked, and served, and written about many times over. What makes this different is the kind of bagoong I used for this rice dish. We received two bottles of Oriental Basket Honey Shrimp Sauce as gift during a Christmas reunion -- regular and spicy. Our friend, who gave us the bottles, cooked bagoong rice which she served for dinner at the party. 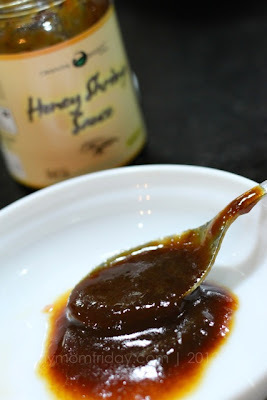 It was delicious, mainly because of the mild sweet taste, thanks to the honey that's blended into the shrimp sauce. Honey Shrimp Sauce is smoother, finer in texture, and has a sweet-salty flavor sans the funky smell that makes it more appetizing and less off-putting. This inspired me to cook a batch myself. I always enjoyed dishes with bagoong and having it in rice is no exception. If you've been reading my recipes, you'd know that I rarely measure ingredients when I cook, so these are just estimates to guide you through this easy-peasy, yummy rice meal. Anyone can do this! 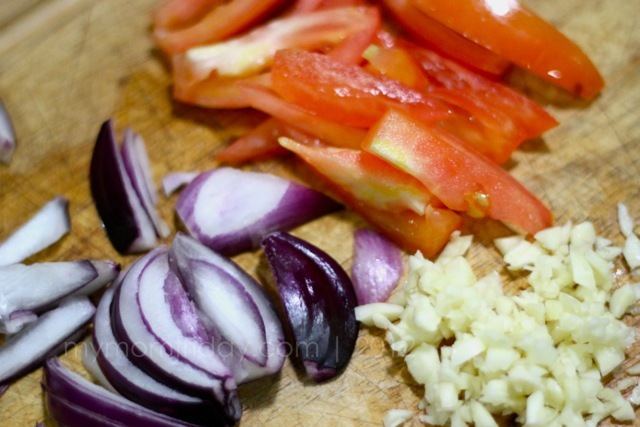 Chop onions, tomatoes, and garlic. Set aside. Heat a wok or saute pan (large enough for the batch of rice) with about 2 tablespoons oil. Saute the ginisa trinity until onions and tomatoes soften. 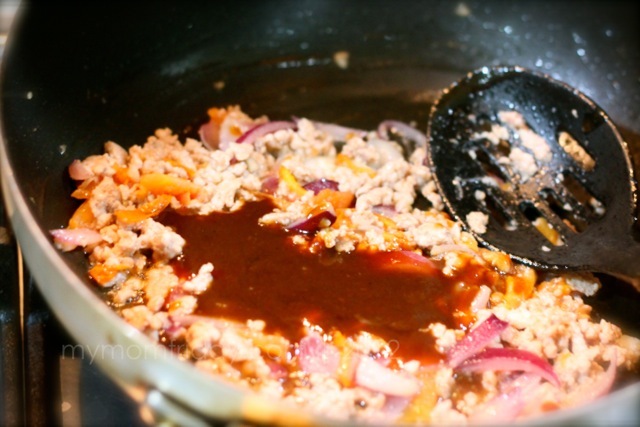 Add the ground meat and cook until it's well done. Pour honey bagoong sauce and continue to saute. Add in the rice and mix until well coated with the sauce. Pour a little water if the rice is a bit dry. Feel free to adjust the amount and proportion of cooked rice and honey bagoong to suit your taste. You can add more meat to make this a complete, all-in-one meal. But if you decide to forego the meat, you can add other types of vegetables too! Garnish with green mangoes and serve immediately. Great for sharing. 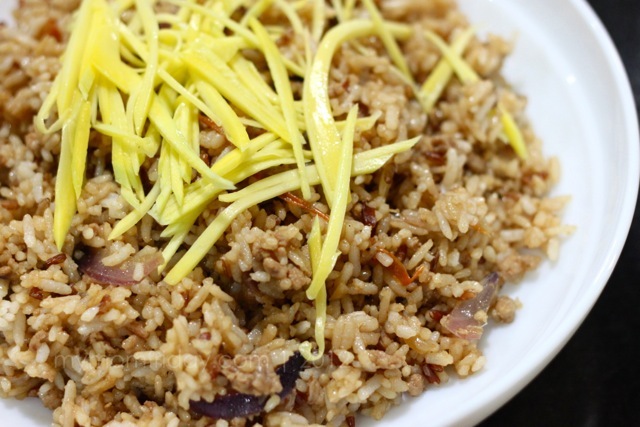 This Honey Bagoong Fried Rice very versatile and can be eaten alone, or matched with your favorite Filipino and other Asian dishes. Enjoy! * The regular sauce ran out so I bought another bottle at Cherry Foodarama for less than PhP80. 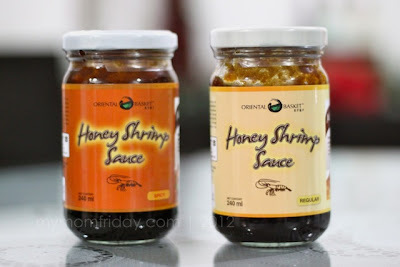 Honey Shrimp Sauce is available at Mercato Centrale, Salcedo Community Market, Diao Eng Chay (DEC) Branches, Mozu Cafe (The Fort & Ortigas), Tin Hok Chinese Deli Virra Mall, The Little Store, Pioneer Supermarket, Cherry Fooderama (Shaw), Rustans and Shopwise supermarkets.